Small Business Owners Need a Retirement Plan — More Than Your Money Inc. When you leave the corporate life to become a business owner, you lose the opportunity to continue contributing to your 401k. You can’t replace the employer match, if you received one, but you can create your own retirement plan. In the early years, as your business is ramping up, you will incur some start-up expenses and you may experience a significant drop in personal earnings. This can be a great time to consider a Roth IRA. Previously, you may have earned too much and you may have been in a higher tax bracket where you needed the tax deferral on money contributed to your 401k. e amount withdrawn in retirement. In 2017, Roth IRAs have an income phase-out range of $118,000 to $133,000 for single filers and $186,000 to $196,000 for joint filers. If you have maximized your Roth contribution or are ineligible for a Roth IRA, consider Investing in a traditional retirement option. Some straight forward options, that won’t require a team of accountants, include a traditional IRA, a Simplified Employee Pension (SEP) or Savings Incentive Match Plan for Employees (SIMPLE). You may be eligible to contribute to a traditional IRA however your ability to deduct your contributions may be reduced if you or your spouse is an active participant in a qualified retirement account (401k, SEP, and SIMPLE plans). The combined annual contribution limit on traditional and Roth IRA accounts is $5,500 plus a $1,000 catch-up if you are over 50. If you want to increase your contributions and don’t have employees, a SEP can be a good option. The maximum allowable contribution is 25% of income or $54,000 for 2017. 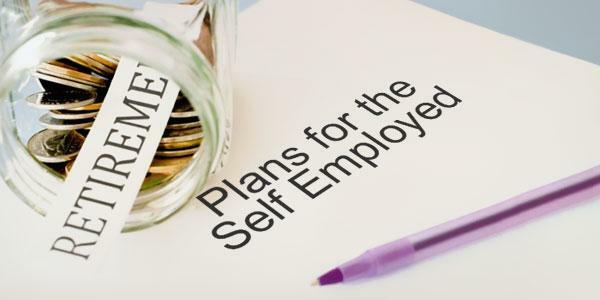 A SEP can be expensive with employees, because the entire contribution is paid by the employer. Each year the employer decides how much to contribute and this is given to the owner and all employees who have attained age 21, have been employed for 3 of the last 5 years and have earned at least $600. If you have employees, a SIMPLE plan may be more economical because your employees make elective tax deferred contributions. The employer is only required to make contributions to the plan as matching contributions up to 3% of compensation or as non-elective contributions. In 2017 the limit on the amount employees can contribute is $12,500 plus a catch-up of $3,000 for individuals over age 50. As your company grows consider a 401k or profit sharing plan. These can provide higher contribution limits but they are more complicated and involve more sophisticated reporting.